It’s (finally!) time to put away the puffy coats and bulky scarves that inevitably make us all look like miniature versions of the Stay Puft Marshmallow Man. Yep, that’s right, spring has arrived and we’re here for all the playful prints and colorful style it brings with it. Get ready to refresh your wardrobe with the most popular statement patterns and prints you’ll be seeing everywhere this spring from fun shorts to gorgeous maxis and kimonos! What better time than spring to wear florals? They’re the perfect transition print for spring’s warmer weather and they lighten up your wardrobe like no other. 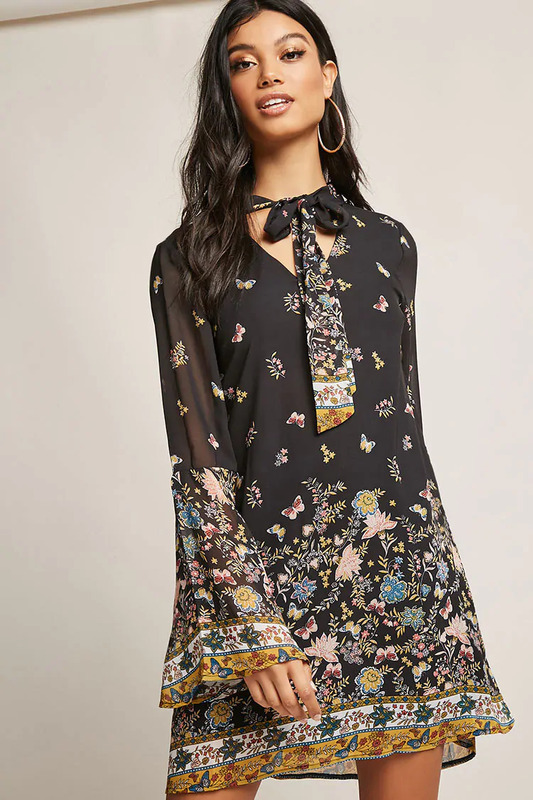 From soft florals on white backgrounds to bold florals on dark backgrounds, you’ll be able to wear this trend everywhere, from the office to the mall. What colors pair best with floral? Go for neutral colors like white, blue, black, or gray. 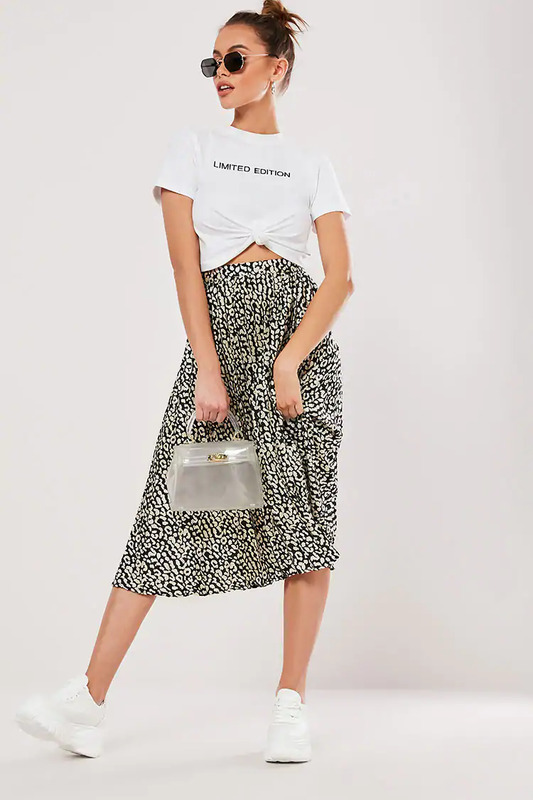 Can I mix prints? Yes! Stripes and animal print look fantastic with floral. These aren’t your grandma’s stripes. The classic pattern in everybody’s closet got a remix for spring that has stripes going in every direction. Stay on trend. Look for pieces with a mixture of diagonal, horizontal, and vertical stripes. Balance out your look. 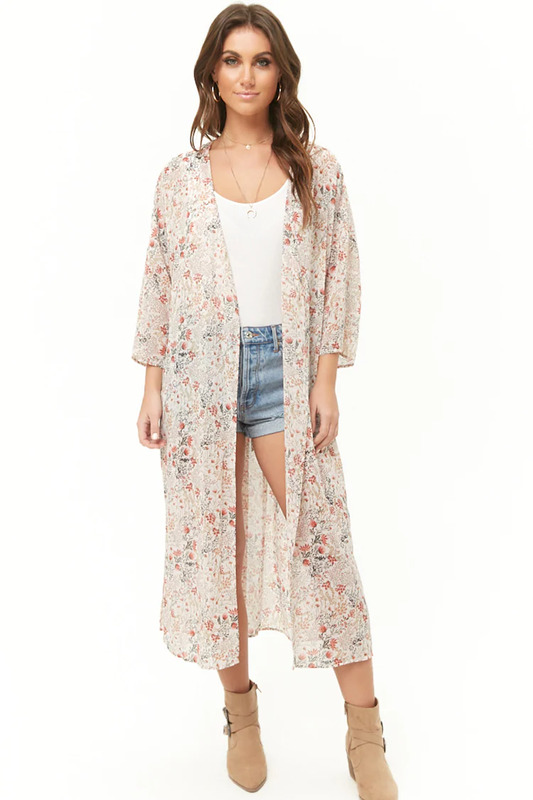 For example, if you’re wearing a multi-colored striped kimono, wear neutral colors underneath. Stripes shy? Opt for striped accessories, like a bag or earrings, that allow you to wear this trend in a less in-your-face way. Everyone needs at least one animal print piece in their closet, whether it’s a zebra kimono that shakes up your office style or leopard shorts for a hot date. As Edited says, all animal prints are in for spring, so you literally can’t go wrong. If you’re wearing an animal-print-heavy outfit, choose neutral accessories in black, brown, or beige to keep things from clashing or getting too busy. Paisley is a bohemian print that gives off fun, carefree vibes that are perfect for both spring and summer. For example, pair a paisley dress with a neutral leather jacket and wedges and you’ve got a chic date outfit or go for a paisley handkerchief tube top with denim cutoff shorts and sandals for a casual festival look. Is paisley too casual for the office? Definitely not! This power print is appropriate for work and play. Is paisley only a daytime print? Nope! Accessories and shoes will help you dress up a paisley print (or dress it down). The most unexpected print for spring is the return of the butterfly, which Cosmopolitan says is cool yet again. Once the darling of the 90s, you’ll see this whimsical print showing up for spring 2019 everywhere from necklaces and bikinis to dresses and tops. I can’t fully commit… Go for understated butterfly earrings that will complement any outfit. If you’re looking for out-of-this-world style, this next print will leave you starry eyed. Yes, stars are in for spring and you’re going to love the whimsy it brings to your wardrobe. From tube tops and anklets to bracelets and swimsuits, look for the star-print piece that fits your personality to nail this trend all season long. Mix and match. Pair a star-print shirt with a striped skirt to give any outfit an artsy upgrade. Fun and flirty. Pair star-print shorts with a classic white tank for an adorable daytime look. Ready to look like a masterpiece? Fill your closet with abstract prints and you’ll be a walking work of art. The key to mastering this colorful trend is to pair it with neutral accessories and shoes that complement instead of conflict. Make it a focal point: A vibrant abstract maxi dress will turn heads everywhere you go. Go for a more subtle look: An abstract headband will give any outfit an unexpected pop of color. FOREVER 21 makes it affordable (and easy!) for you to try all the trends, from whimsical star-print shorts to sassy zebra kimonos, and much more! What patterns and prints will you be wearing this spring?